50% of profits from the ImageKind sale of this print are donated to cancer charities in support of the fight against this disease. 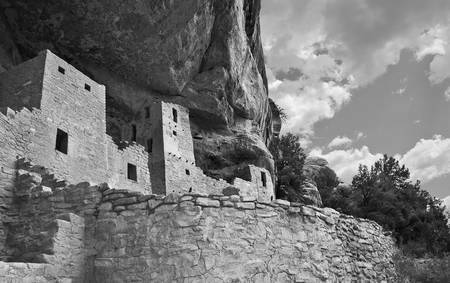 A kiva wall and the afternoon sky frame this Cliff Palace facade, constructed under a protective cliff over 700 years ago by ancestral puebloans. One of the 4,000 known archeological sites of Mesa Verde National Park.